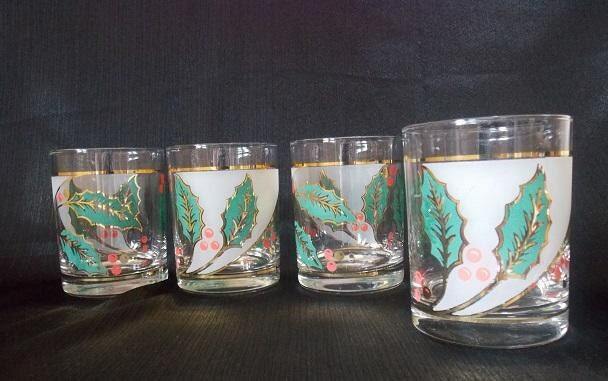 Cheers to a stylish holiday with this set of four Culver double old fashioned glasses. 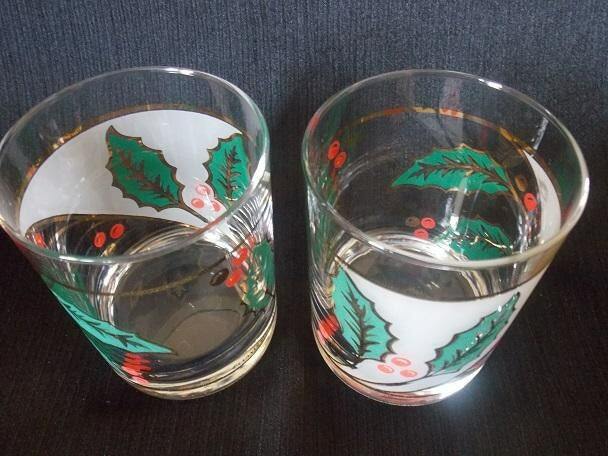 They feature green holly leaves trimmed in gold and red and gold berries circling around the glass. 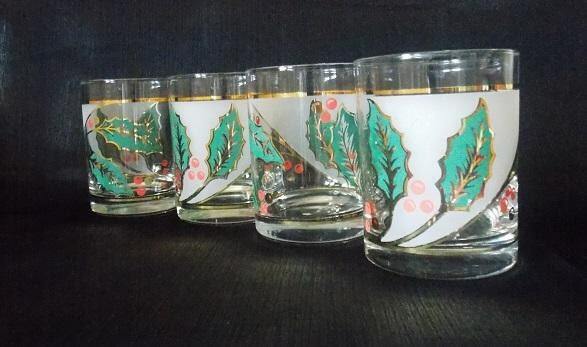 Part of this pattern is against a clear glass and part of the pattern is against a frosted diagonal panel. There is a gold line circling around the glass above and below this design. 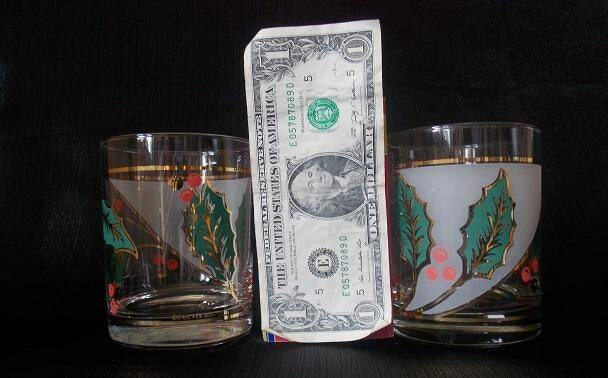 The glasses are marked "Culver Made in the U.S.A.".